If you got used to your original car remote, StarLine reliable protection is still available for you. StarLine system «obeys» your regular remote. You need to bring with you a little additional remote which serves a radio tag for StarLine system. Your regular remote sends a comand «Open the door». StarLine system gets this command and starts to search for the radio tag. 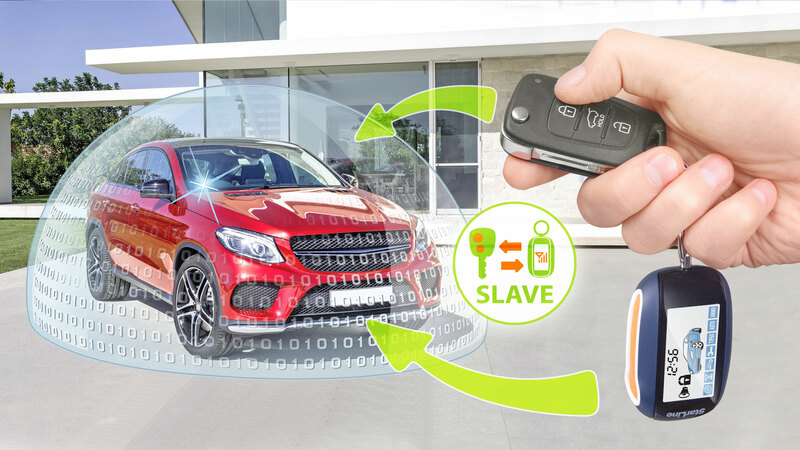 If you have your tag with you, the main unit and the tag exchange their encryption codes and StarLine system «obeys» — it disarms your vehicle and opens the door. If your regular remote has been stolen, the hijacker will not be able to disarm your car.